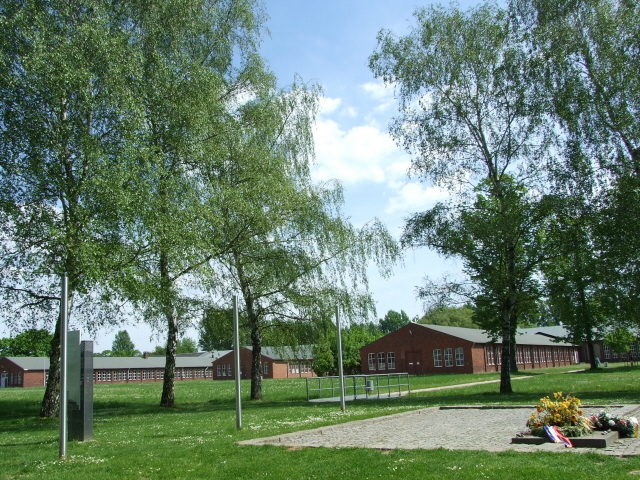 The site of Hamburg's own former concentration camp – a less well-known name than Auschwitz or Dachau perhaps, but it was still one of the big camps. Today the memorial complex and documentation centre offer some of the richest sources of information of its type that I know of. More background info: Set up by the Nazis in 1938, this concentration camp's original purpose,apart from incarceration of 'undesirables', of course, was to revive an old brickworks. This was expanded and supposed to provide the millions of bricks needed for the planned reconstruction of Hamburg's harbour front – this city's equivalent of the Nazis' similarly megalomaniacal plans for the transformation of Berlin into "Germania". 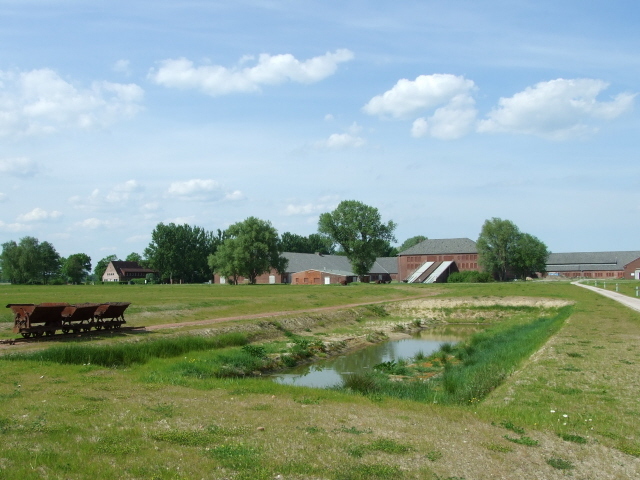 Increasingly, forced labour included all manner of other tasks, from digging a new canal or construction work to the manufacture of rifle parts – the famous Walther gunmakers had a production site within the camp. Neuengamme also had a large number of satellite camps nearer to various workplaces for its inmates, including shipyards in Hamburg's harbour. 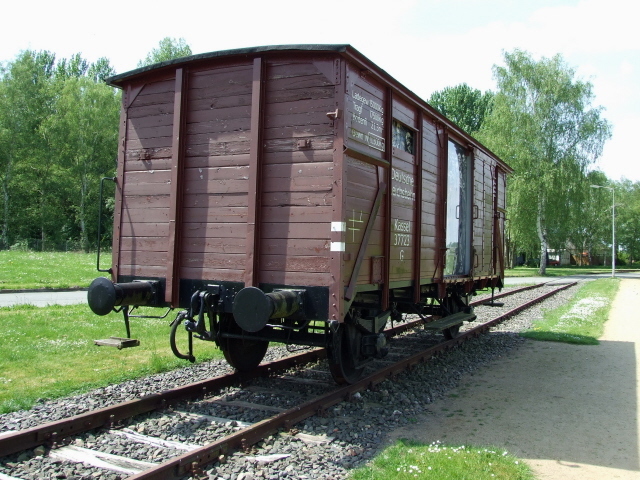 Between 1938 and the eventual evacuation of the camp in 1945, over 100,000 people had passed through Neuengamme. Almost half of them perished in the process, which makes the death toll one of the worst of all the Nazi labour camps, proportionally similar to that of Sachsenhausen. Also similar to Sachsenhausen is the fact that in autumn 1943 "tests" were conducted on Soviet POWs – who were gassed using Zyklon B (the most infamous killing agent of the Holocaust that was primarily used in Auschwitz and Majdanek). Most deaths, though, were due to the atrocious living and working conditions. Neuengamme was also a particularly multi-national camp, with large numbers of inmates from the various occupied countries. Just before the liberation of the camp, the thousands of remaining inmates were evacuated – including those who ended up on the ship Cap Arcona, which made additional tragic history: only days before the end of World War Two, the ship was sunk in an air-raid by the Royal Air Force, who mistook it for a military cargo ship, killing all on board except for a few hundred survivors, which makes it one of the greatest losses of life in any sea disaster in history. 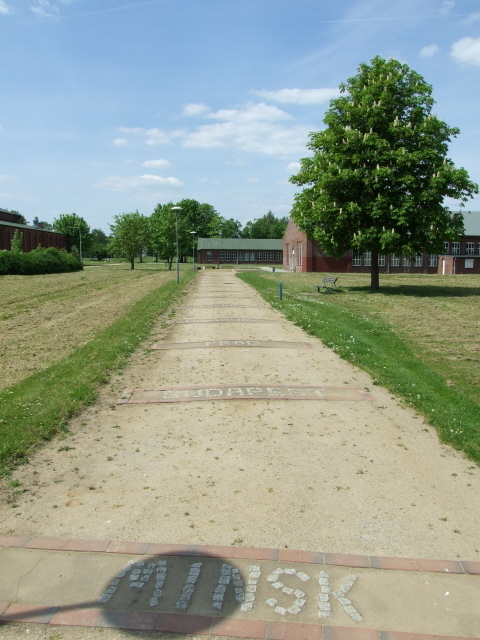 Another Neuengamme connection is the story of the children of the Bullenhuser Damm school. After the camp's liberation, by Belgian and then British troops, the site was used for about three years by the British as a camp for displaced persons and as a prison, esp. for the internment of suspected war criminals. 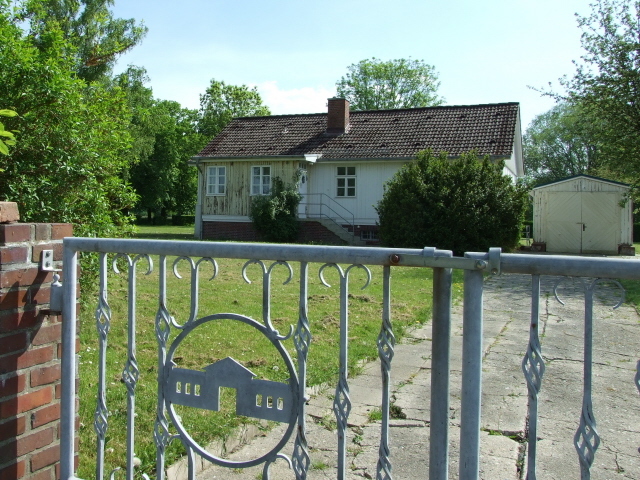 Later the site was partially demolished, part of the premises rented out, others lying derelict. Thus the site was in danger of drifting out of memory completely. 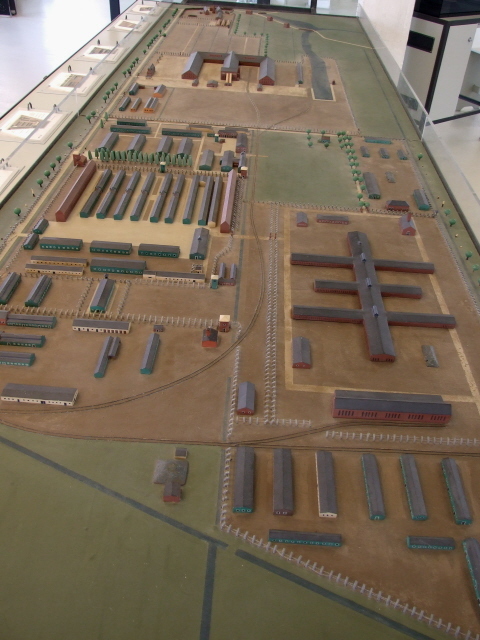 Most controversial, however, was the use of two parts of the main camp area as prisons. With the building of those prisons, public access to the site was thus made impossible too – a fact that rightly outraged survivors, who demanded a memorial site. In a process spanning over 50 years of protests, setbacks and eventual improvements, esp. the closure and demolition of the prisons, the site was gradually transformed from almost totally hushed-up to what now has to rank as one of the richest documentation centres of its kind. What there is to see: Lots!!! 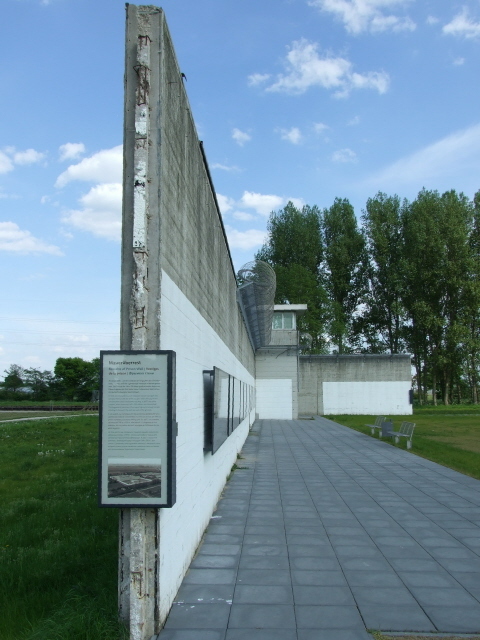 The grounds may not have the iconic instant recognizability of concentration camps like Auschwitz-Birkenau, nor is there anything here to match the gruesome original traces of the Holocaust, the Nazis' mass murder of the Jews and others at those sites. 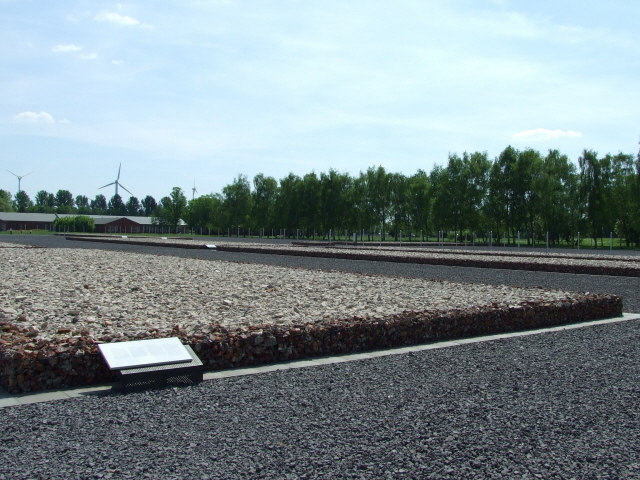 However, for the sheer amount of information to be gleaned from the various exhibitions and documentation centres, Neuengamme these days stands out as one of the best memorial sites of its kind. Through the new main entrance lies the area which has recently been reconstructed, including the former roll-call square, and the areas where the barracks housing most of the inmates would have been. Their locations are now indicated by knee-high 'baskets' of building debris. To the left of the entrance is the building that houses the administration and archives of the site. In the grounds in front of it, various text panels explain the purposes of the vanished buildings. One special site is the place where the camp's crematoria used to be. It wasn't until 1970 that the survivors' organization Amicale International was successful in having a memorial plaque installed at this spot. To the south a single railway carriage serves as a memorial to the inhumane transport conditions deportees had to endure. To the north-east a complex of original buildings have survived, including parts of the Walther arms manufacturing site. Parts of this complex of buildings are now used to house various exhibitions, including temporary ones – e.g. 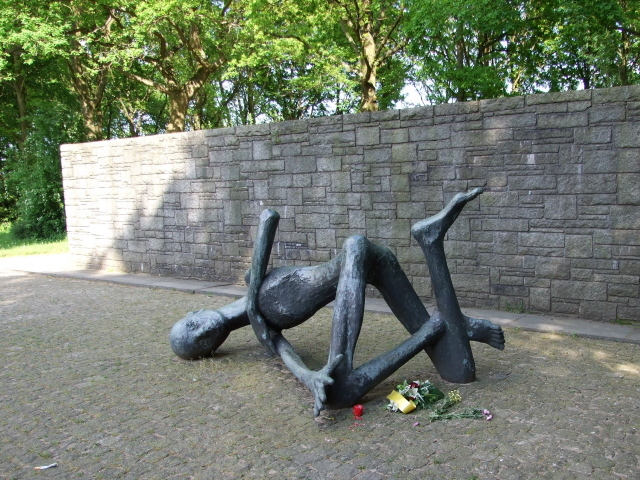 at the time of my visit in May 2008 there was a special exhibition chronicling the mistreatment of homosexuals during the Nazi era (and beyond, it also covered contemporary issues). 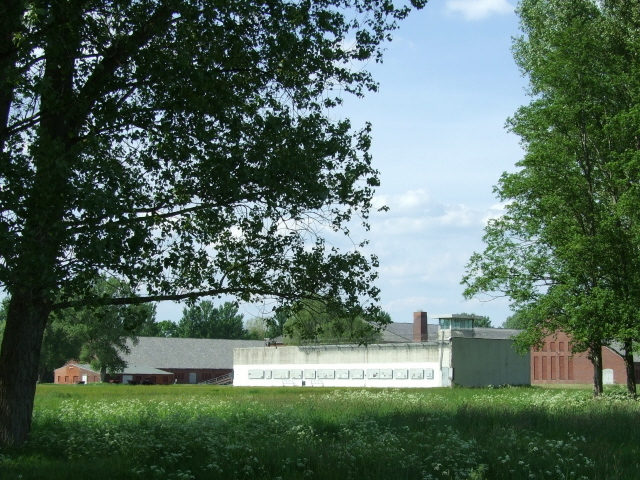 Flanking the site of the main camp area is a two-storey brick building which now houses the main permanent exhibition. This chronicles the entire history of the camp, including its post-war use, as well as general background of the whole Nazi concentration camp system. 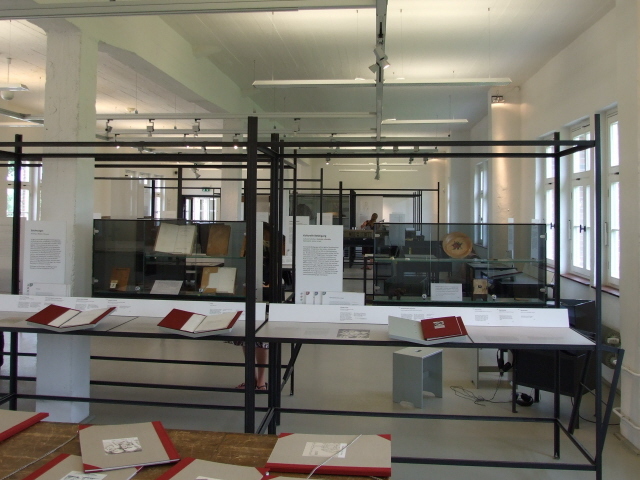 There are lots of informative text panels and other explanatory information, as well as selected exhibits such as inmates' clothes and other artefacts, but a distinctive feature of the Neuengamme exhibition is its personalization: there are countless files on individual victims for visitors to browse through. In addition, there are various electronic information points where you can sit at a screen and watch and listen to interviews and survivors' recollections over headphones. These are what can require the most time, but at least a sample is recommended. Normally you can switch between an English language sound track and the original (often German, but also e.g. Lithuanian …, so even German-speakers will occasionally have to switch). Further north another exhibition is housed in the former SS garages. A short walk east of that is the former commandant's house. It is between this part and the main brickworks buildings that the notorious modern prison used to stand until recently. It's the area of the former clay pits (sourced for making bricks), and parts of these have been reconstructed. The prison was demolished, but one stretch of prison wall, including one of the watchtowers, complete with barbed wire on top, has been preserved as a memorial to the more recent history of the site. On the prison wall, a series of text panels chronicles the history of the controversy over the prison's location, and how it was eventually resolved. Close by, behind the wall fragment, ends the canal that was built by forced-labour inmates, including a barge that was used in the earth-movement works. 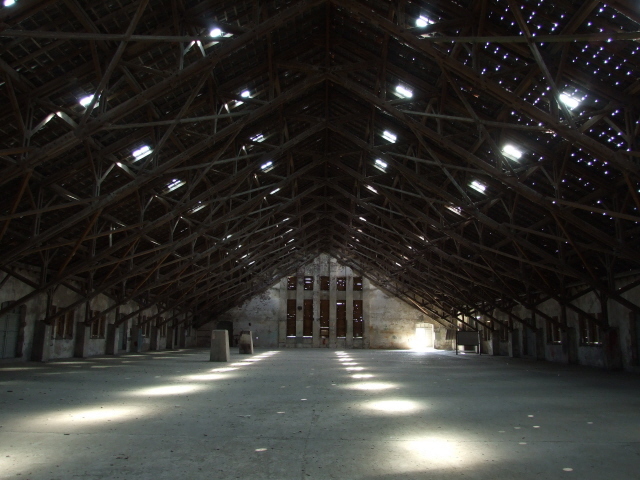 One of the most impressive parts of the site is the huge brickworks buildings themselves. One of its wings is accessible and houses a small exhibition in one corner about the brickworks as well as the reconstruction plans for Hamburg (fortunately never realized), which provided the original demand for the mass-production of bricks. It's rather the huge empty room-feel of this place that leaves the deepest impression. What these remaining buildings' future role may be is currently still somewhat unclear. But at least all original buildings are now listed and there are signs of continued work e.g. on further text panels by the clay pits. Last but not least, there's the oldest part of the memorial site, north of the brickworks and for many years the only publicly accessible small part. It's a classic memorial place, with a large column-like 'international' memorial and a string of small plaques for various nationalities/groups of victims within a park-like landscaped area. Within this park there's the first proper exhibition building from 1981, which, now that the main exhibition has moved into one of the original camp buildings, serves as a 'house of remembrance' where the names of known victims are listed on walls. Finally there's the recently excavated foundations of the former camp's greenhouses to the north of the memorials complex – and one open-air exhibit to the south is a so-called "Plattenhaus", a simple emergency housing structure, for Hamburg's bombed-out citizens during the latter years of the war. The concrete components for these small buildings were made by Neuengamme forced labourers – hence the additional exhibit at this spot (another example has been preserved in its original location in the district of Poppenbüttel). Location: far out in the outskirts of Hamburg, in the marshes of the river Elbe, about five miles / 8 km south of the suburb town of Bergedorf. Access and costs: getting there is a bit tedious, but entrance is free. 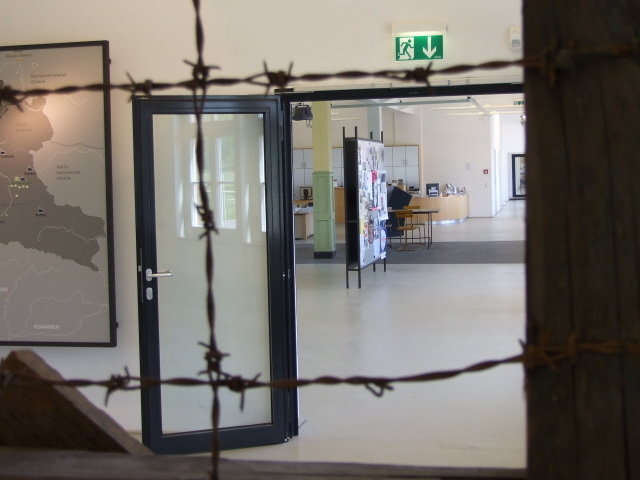 Details: The grounds of the former concentration camp are freely accessible at all times, the exhibitions (also free) are open weekdays 9.30 a.m. to 4 p.m., weekends and holidays 12 noon – 7 p.m. Access to the library and archives is more restricted, and should best be pre-arranged. Guided tours are available by prior arrangement only (phone +49 (0) 40 - 4 28 13 10), and do cost a fee, but guiding should frankly speaking hardly be necessary, such is the quality of the information material displayed. Especially for individuals or small groups, doing it independently is certainly more recommended. Larger group guided tours are more aimed at school classes, etc. Getting to Neuengamme is possible by public transport, but takes a while. First get the S-Bahn metro train (S21) to Bergedorf (typically every 10 mins.) and from there bus 327 or 227 to Neuengamme. 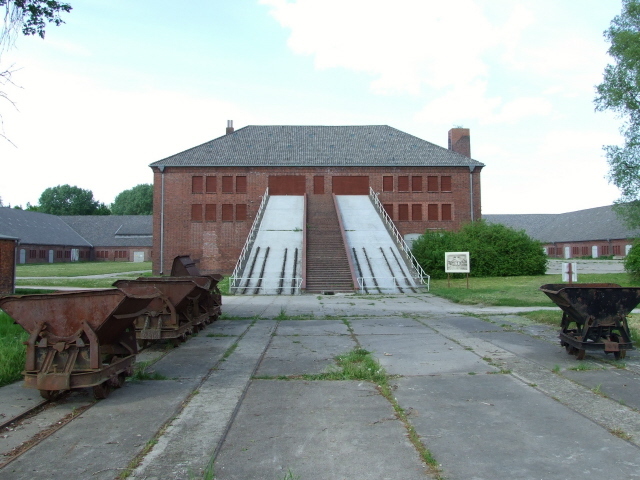 There are three stops along the main road that runs parallel to the site – if you want to do it all starting at the main entrance, as described above, get out at the first of the three stops, "Neuengamme Ausstellung", and at the end catch the bus back from "Neuengamme Mahnmal" or "Neuengamme Klinkerwerk". Note that these buses are quite infrequent, though – much of the time no more than one bus hourly, half-hourly at weekends on the 327, but best to check ahead before setting off – in particular you should check the return journey times in advance, preferably on getting off the bus when you arrive. The times I was given in the museum did not match the actual departure times noted at the bus stop! But fortunately I only had to wait 10 minutes regardless. You certainly don't want to get stranded out here – otherwise you're faced with trying to hitch a lift or walking the long five miles / 8 km back. Make sure you get the bus. Or, better still, go by your own means of transport. The site is well signposted these days – from the motorway exit Curslack on the A25 between Hamburg and Geesthacht. Time required: Anything from between a couple of hours to up to a week. Since for most visitors an in-depth study trip of several days is unlikely to be an option, a sensible compromise will be a whole-day excursion. Combinations with other dark destinations: nothing in the immediate vicinity, but you wouldn't have time for more anyway. For more dark sites in the city, see Hamburg. Combinations with non-dark destinations: in general, see Hamburg – the area around Neuengamme is typical Elbe marshland, and as such is quite popular with cyclists. En route to the site from Bergedorf the 327 bus passes through some rather picturesque villages on or behind the old Elbe dykes, a highlight on this route is the ancient Rieck Haus and its surrounding open-air museum at Curslacker Deich 284.